Nene is no stranger in the comedy industry. He came into the comedy industry back in 2009 when he won the first season of ‘so you think you are funny”, which was a nationwide talent search for up and coming comedians on SABC 1. Since then he has kept his winning streak alive as he won an award at the SATMAS as the best indigenous comedian, and has for two years in a row won the Comics Choice Award which is voted for by the audience. He has also starred in the hilarious “Taxi Ride” which aired on Mzansi Magic, and has also starred in the Standard Bank commercials. 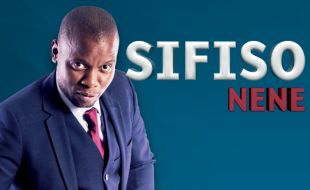 Sifiso just came back from his first successful national oneman tour titled BABY MAMA DRAMA. His topics for the new one man show TYPICAL ZULU will range from taxi drivers, politics, Zulu stereotypes and more. So whether you are Zulu or not Zulu, know someone who is Zulu, or ever used the words “that’s so typical of you Zulu people”, this show will have everyone in stitches.